A partnership of local organisations that’s helped make South Ribble a ‘dementia-friendly borough’ has named a local solicitor as its new chair person. The South Ribble Dementia Action Alliance (SRDAA) has appointed Anna-Marie Knipe, a lawyer with Birchall Blackburn Law, to the role. As chair, Anna Marie will support the group as it builds on the work already done to improve the lives of people in the borough living with dementia, and their carers. 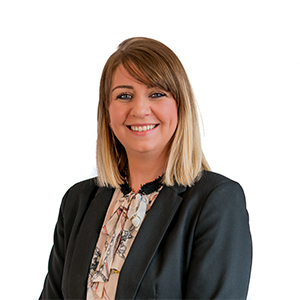 As a specialist in services for older people for over a decade, Anna-Marie is a member of Solicitors for the Elderly and the Society of Trust and Estate Practitioners (STEP). She takes on her role with SRDAA from outgoing chair Maria Desmond of Business in the Community. South Ribble was named a ‘Dementia Friendly Community’ by the Alzheimer’s Society in December 2017. This important accolade means that the borough is committed to ensuring people with dementia feel understood, valued and are able to contribute to their community. Anna-Marie, who is based at Birchall Blackburn’s Leyland office, said: “I witness the effects of dementia on people and their families on a regular basis through the work I do. I know how important it is for communities to do more to help people living with dementia to feel active and engaged. “I’m incredibly proud to be taking on this role and working with others to improve our community. The Alliance has made great strides these last 12 months and I’d like to thank the previous chair Maria Desmond for the massive contributions she made while she was chair. The SRDAA is a partnership between Lancashire Fire & Rescue Service, Lancashire Police, Age Concern Central Lancashire, Home Instead, Preston Care and Repair, the Alzheimer’s Society and private businesses, including Birchall Blackburn Law. Many councillors at South Ribble also play an active role. Since its creation a little over a year ago, the alliance has created lots of “dementia friends” – people in the community who are aware and appreciate what living with dementia actually means. The group also holds regular dementia hubs at Leyland Market; has organised many awareness events; and is committed to developing and delivering its own dementia charter. At the Civic Centre offices on West Paddock, between 22nd and 26th January, the Council is hosting the first South Ribble Dementia week where lots of different organisations will be joining to provide advice and support as well as raise awareness. The Alzheimer’s Society is working with boroughs across the UK to help them become Dementia Friendly Communities. Having the status involves local service providers and private businesses working together to ensure people affected by dementia feel understood, included and valued.